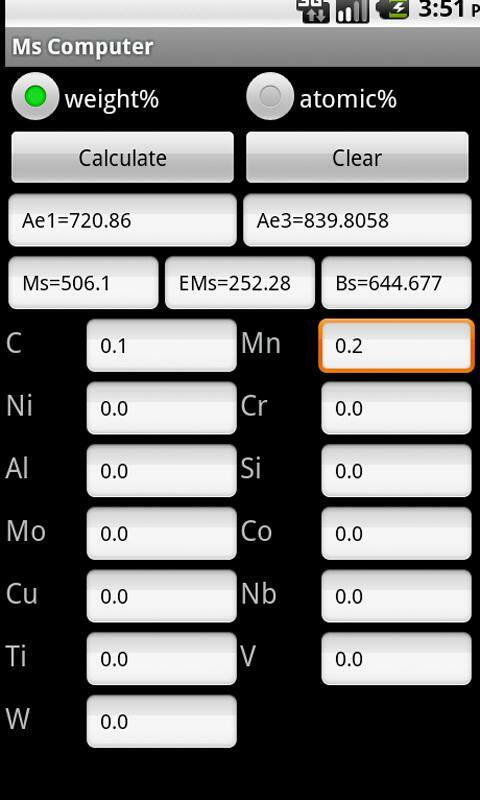 A researcher at GIFT has produced an metallurgical application for android phones for calculation of MS, ε-MS, Ae3, Ae1, and conversion of weight percent to atomic percent. upto – 250 C – precipitation of eta-carbide, partial loss of tetragonality of martensite. Steels above 0.25 wt% carbon precipitate hexagonal close-packed eta-carbide within the supersaturated martensite until 0.25 wt% carbon level is reached, martensite preserves some tetragonality. The orientation relationship between the laths or rodlets and the cube planes of the matrix was first described by Jack . 200-300 C – decomposition of retained austenite. 350 C – cementite coarsens and speroidizes, recrystallisation of ferrite. Steels 2nd Ed, Honeycombe and Bhadeshia, Edward Arnold, 1981, p172. Martensite transformation usually occurs on cooling, with the volume fraction of martensite depending upon the temperature as shown in the first two examples below. Martensite transformation is often thought only to depend upon the temperature, but has been shown to also depend upon the time. It should therefore be represented by it’s own C-curve on a time-temperature-transformation graph. The strong temperature dependence may be caused by the large driving force necessary before transformation can proceed. This equation due to Koistinen and Marburger can be used to estimate the fraction of martensite as a function of temperature. Steels were quenched to various temperatures and the austenite volume fraction determined by X-ray diffraction. The results plotted logarithmically against Ms-Tq, where Ms is the martensite start temperature and Tq is the quench temperature. Magee later showed that an equation of this form can be justified based on martensite nucleation theory. 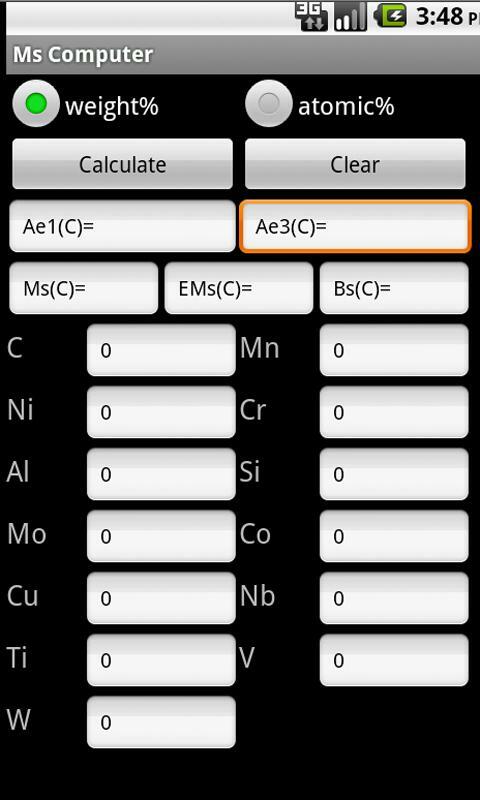 Rearranging the formula is simple to give the volume fraction of austenite transforming to martensite on cooling to room temperature as a function of the MS temperature of the steel. Khan and Bhadeshia  have produced a modified equation which also considered autocatalytic nucleation of martensite to allow better matching to dilatometry results. This changed the goodness of the fit by regression from 0.9 to 0.94, when analysing the data of volume fraction against temperature obtained from their own experiments. This work used one alloy (300M) but changed the starting conditions by partial transformation to bainite. C. L. Magee, The nucleation of martensite, In “Phase transformations”, p115-156, Ed: H. I. Aaronson and V. F. Zackay, ASM, Metals Park, Ohio, 1970. 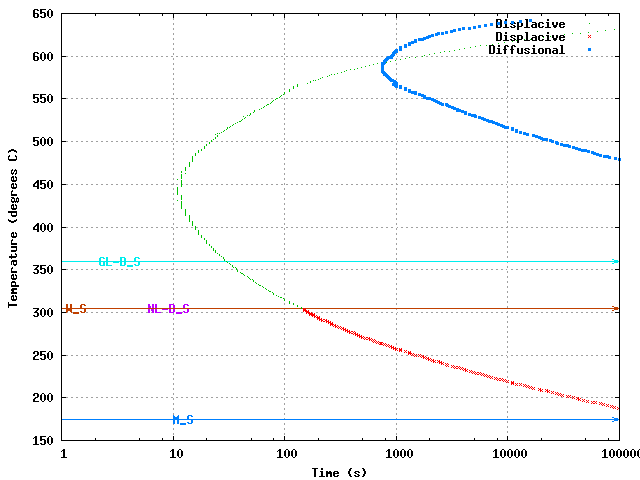 S. A. Khan and H. K. D. H. Bhadeshia “Kinetics of Martensitic Transformation in Partially Bainitic 300M Steel” Materials Science and Engineering A, Vol. A129, 1990, pp. 257-272. This steel is popular for use in knives and swords like the Samurai sword “Bainite Katana”. The Bainite Katana is made of a special purpose low-alloy steel. It is very resistant to bending, to the point of near unbreakability. These blades can be made lighter and thinner and still remain stronger than conventional steel or 1086. The blades are also springy rather than soft, they will flex more than a normal blade, but the shape will not be altered. These blades are excellent for tameshigiri as well as general sword work. Composition; I found the composition of L6 is something like: Fe-0.7C-0.5Si-1.75Ni-0.5Mo-0.25V-0.25Cu. 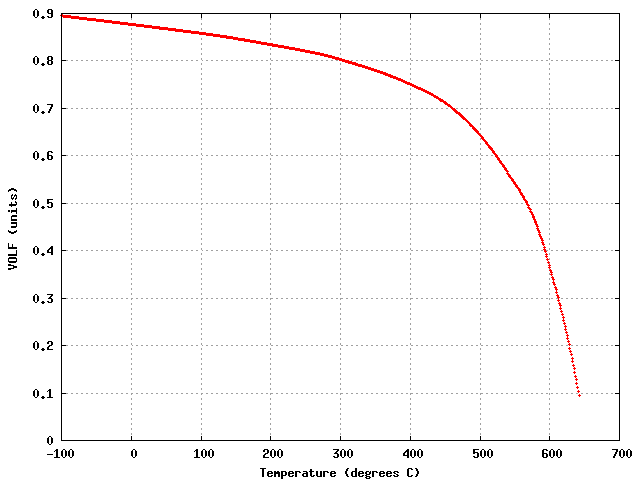 I calculated the time-temperature-transformation diagram, i’m not too sure about the accuracy bainite start temperature using this program, I would like to be able to find the experimental results for this alloy. Depending on the bainite start temperature, the kinetics are fast enough to allow isothermal transformation to bainite on a reasonable timescale, at temperature of around 300 C which would give a high strength bainite. Howard Clarke sells the swords with as a martensite/bainite sword. If the bainite start temperature is higher it would be easy to get a mixed microstructure. I should try to make a prediction of bainite start temperature – I made a neural network model for this. Even without carbide precipitation transformation results in a large volume fraction of bainite. Presumably if the bainite Katana is used in marteniste/bainite condition it is produced by continuous cooling or by quenching. Quenching would be good if it can be done in at a rate which gives martensite on the outside of the blade for sharpness and hardness, and bainite in the centre to give toughness. The other possibility is that the continuous cooling gives a mixture of bainite and martensite at every location. This can have a higher strength or hardness than martensite alone because austenite will get enriched in carbon as the bainite transforms, increasing it’s contribution to the strength. I’d really like to have a look at the microstructure of these swords to see what structure the bainite has. Also it would be interesting to measure the mechanical properties of the alloy in the same condition – I need to look for some literature on L6 I guess. It looks like they should be strengthened by carbides and by copper precipitation. Howard Clark who makes these swords has a webpage at mvforge.com.